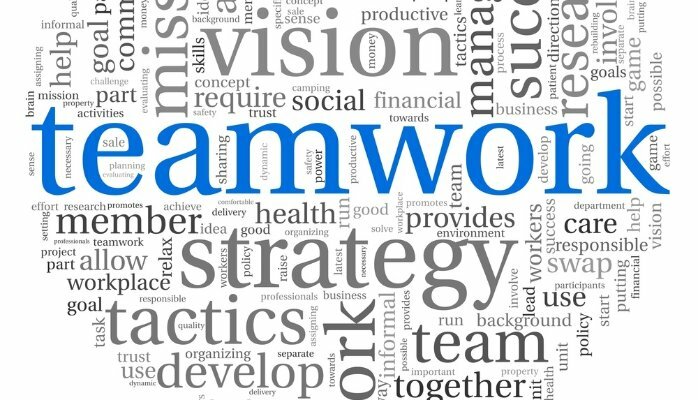 Teamwork in most situations means “working collaboratively toward defined goals.” It implies the achievement of baseline cooperation among individuals with specific and complementary skill sets. Teamwork also means we put forth our best in every circumstance because we’re all in it together, to win! VISION. The company must inventively convey to leadership and staffs the corporate image, brand, goals, aspirations and ethics. This facilitates clearer focus that also prevents the company from heading in the wrong direction. APPRECIATION. When the company focus is on teamwork, admiration and gratitude follows. Even human error is appreciated because it represents opportunities to brush the work to a higher gloss in the future. Awake, aware, and alive, each moment provides an opportunity to appreciate the journey, even when the going gets tough. TRUST. If Vision, Service and Appreciation are well understood, Trust follows. Trust that the teammate will be there. That’s the basis of Teamwork.